You don’t have time to be injured. Back pain, neck pain, whiplash, headaches — all of the pain and stress that can follow a car accident can be treated with acupuncture. Being in a car accident is jarring and can lead to lingering pain. Some people immediately feel pain after an auto accident, most commonly in the neck and/or low back. But often people don’t notice any pain for a day or even several days. When you do feel pain, your instinct may be to ignore it, but the best course of action is to seek treatment. Head to your doctor if needed, but an acupuncture visit should also be one of your first stops. We can assess the pain, and treat you the same day. Acupuncture is well known for reducing pain and inflammation and speeding recovery times. In many instances people feel some amount of pain relief even after one visit. The sooner you receive treatment after an auto accident, the sooner your recovery begins. At Solstice Natural Health, we are well-versed in billing your car insurance when you have been in an auto accident. 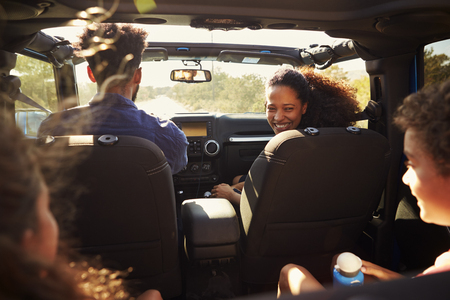 Did you know that in Oregon you are required to have at least $15,000 of personal injury coverage for you and all passengers? This means that you get your medical bills related to injury treatment paid for 100% by your auto insurance. You are also entitled to see any provider you want, including an acupuncturist, without a doctor’s referral. Acupuncture vasodilates your tissues (this means it helps improve blood flow and circulation). Acupuncture modulates your neuroendocrine system (it helps release endorphins, your natural pain killers, anti-inflammatories, and hormones to help you feel better). We make insurance billing easy, and will walk you through everything you need to know. We also have a host of trusted referral partners including chiropractors, physical therapists, MDs and lawyers if you need further assistance. Don’t wait to feel better. Come in for acupuncture today.